Fashionable Interior – Do Your Walls Match the Runways? Fashion is all about execution, much like interior design. In the same way you wouldn’t wear clashing colours or multiple prints (we hope!) you wouldn’t implement these sartorial sins in your home either. Floral feature walls supported by contrasting floral cushions, rugs and wall art are putting you on course for an interior disaster and probably a migraine! Your clothing and living space might not always match, but each trend works hand in hand. The rules you follow from the rails and runways can be easily implemented in your home décor. However, you’d be wise to remember that your interior isn’t an outfit you can just simply take off, so here’s our tips for getting it just right! A classic black and white outfit will look simple, yet effective. Rejecting bright patterns and colours gives us a refined edge and provides an effortlessly chic style. Professional and understated, sticking to two contrasting shades is the way forward. The monochrome trend also looks great when implemented in the home. Tidy and simple, any pattern or illustration is instantly less intimidating when printed in black and white. When choosing a wall mural, people can often be slightly put off by the bright bold patterns, when really all you need is a fashionable design to adorn your walls. Make sure your soft furnishings match this trend and don’t be tempted to let one ornament or cushion slip through the net. The eyes of visitors will be immediately drawn to the out-of-place object and take them away from the overall theme of your room. 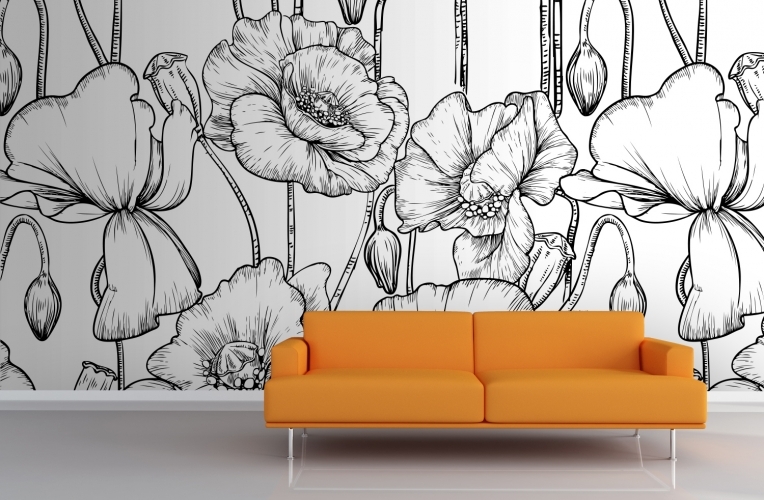 These floral murals look equally beautiful in colour, but if you’re slightly hesitant it might be best to stick to pastel hues. Using toned down shades in your wardrobe or living space gives you the chance to experiment with colour, whilst remaining subtle. Using a pastel shade for the main part of your outfit or walls allows you to then choose accessories in different shades for a multi-tonal effect. 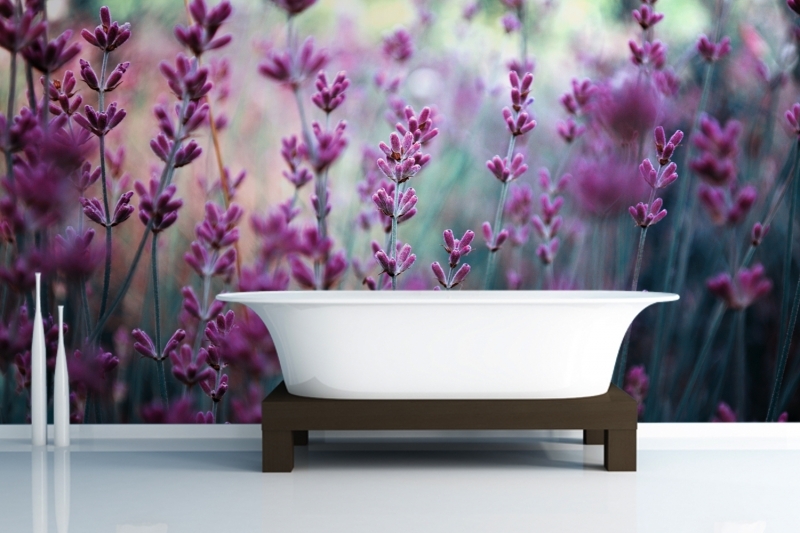 A calming colour such as lavender would be easily highlighted alongside deep violets and plums. This trend is easy to replicate, as you don’t have to match everything immaculately. In fact, the more shades you use in your living space, the better the effect. 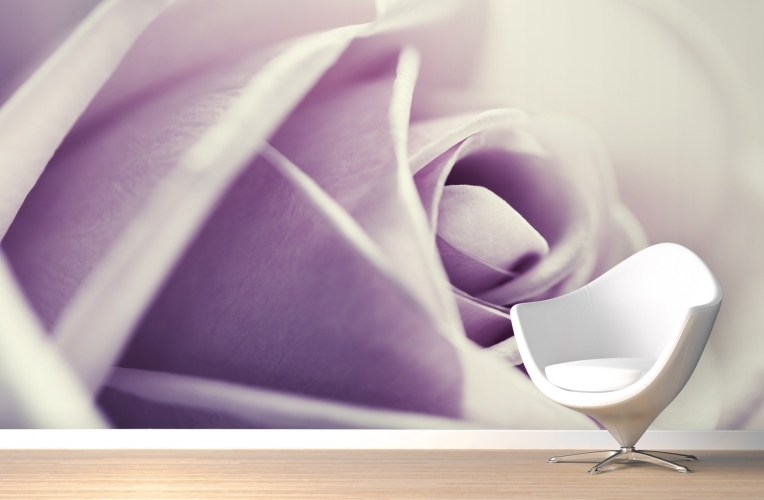 A purple rose mural behind a white chair. When we take interior cues from fashion, we shouldn’t just think about what we wear. The ombré trend was once a popular hairstyle, also known as dip dying. 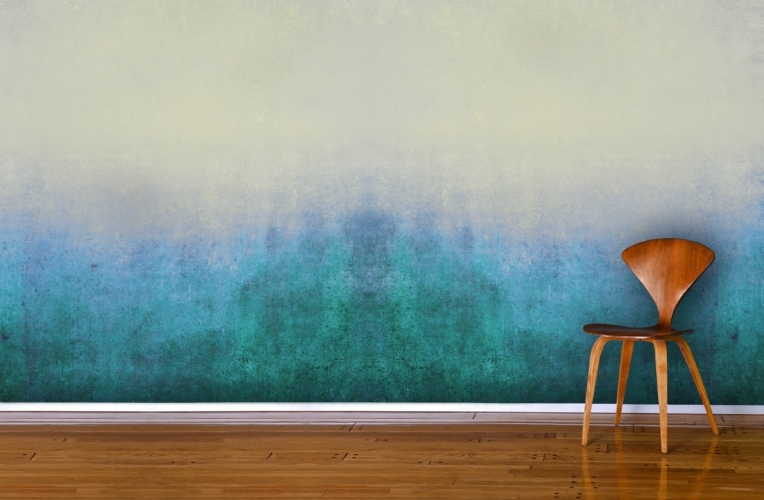 It might not be your first thought for an interior design project, but a delicate gradient of colours cascading down your walls can offer a chic look for any room, especially communal areas. This wall mural gives you the opportunity to work with a variety of shades and colours and is eye-catching without drawing too much attention away from the room as a whole. Stylish and versatile, an ombré design can be used with any colour pairing and can even work with clashing colours gently blended together. A wooden chair against a blue grunge mural. 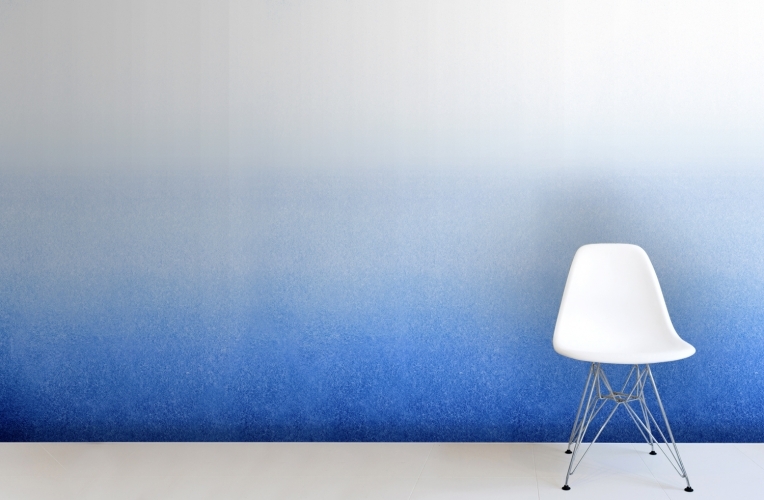 A white chair against an indigo ombre mural. The next time you’re in search of interior inspiration, consult your wardrobe for some chic designs to bring a new lease of life to your living space.